The majority of Positive American Youth’s programs come at no cost to the participants. We are proud to offer high quality services that help boost your community in an economically efficient way. 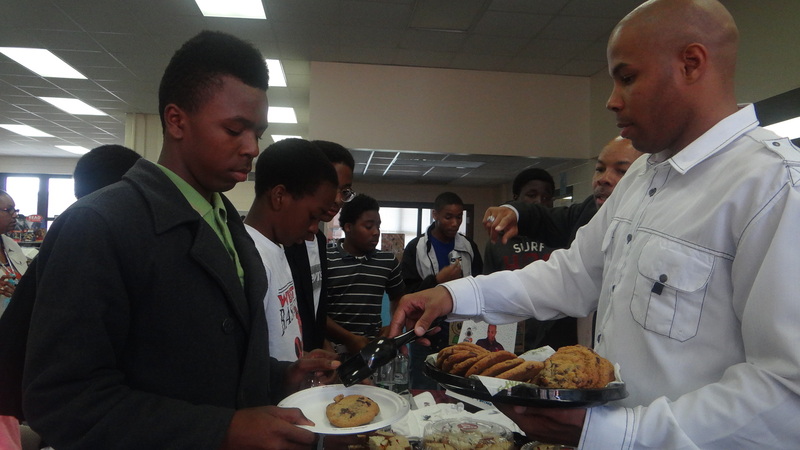 Our goal is to provide Atlanta’s out-of-school youth an opportunity for career development and job acquisition. The Coding Camp Program will provide students with no prior programming experience the skill set required for an entry level job as a Software Engineering or a Junior Programmer in game development. Students will learn the skills required by creating games, real world applications, and implementing web service integrations. Students will be able to showcase these completed projects in a portfolio when applying to jobs. There will be a heavy focus on professionalism. 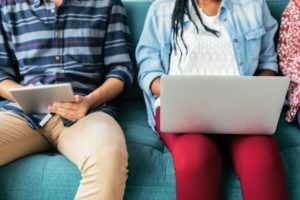 Upon completion of the Coding Camp Program, students will be able to acquire an entry level programming job, and will help mentor future students of the boot camp. Positive American Youth’s (PAY) Fitness Camps focus on teaching key concepts of physical fitness. These concepts include stretching, cardio, aerobics, nutrition, and hygiene. Participants include elementary, middle and high school aged students. This program provides communities the chance to give dilapidated neighborhoods a “face lift”. This Program involves PAY acquiring vacant and abandoned properties that need repairs and maintenance. PAY, and its partners, then revitalize those properties and reintroduce them to qualifying participants at an affordable cost. Home Depot, Good 360 & Home Depot Framing Hope have partnered with us to provide truck loads of donated supplies and appliances to assist with this process. 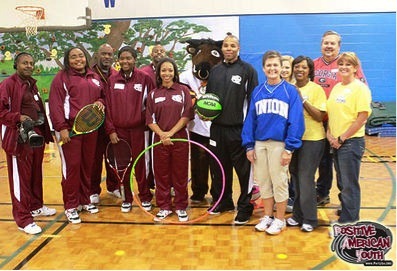 Other partners include Neighborhood Works, The United Athletes Foundation and 33 Holdings. This program also includes our youth volunteers maintaining these properties on a weekly basis by working with our partners that are licensed and professional general contractors, plumbers, lawn care providers, painters, and flooring experts. Positive American Youth has partnered with REEC, Nike, Red Lobster, Olive Garden, DeCuir Gourmet, Community Healthcare of Georgia and Radio One to introduce our free Lunch on REEC Gold Club Program. This program was developed to build a more productive learning environment by providing incentives and additional resources to the school, students, faculty and staff. This is a four (4) week rotating program in which 24 youth (12 male and 12 female) will be selected at a time to join the Lunch on REEC Gold Club Program. Once a week NAACP Award winner and spokesman for PAY, REEC Swiney, will provide a power lunch and speak to the group along with the site mentors and special invited guest including REEC’s celebrity friends and representatives of companies such as Nike, and Radio One. The Lunch on REEC Gold Club Program will meet weekly for 30 to 45 minutes, during a selected period by the school, to discuss topics concerning the students and issue related areas identified by school staff. The program focuses on Pre-k to 4th grade levels, between 30 – 60 children each visit. 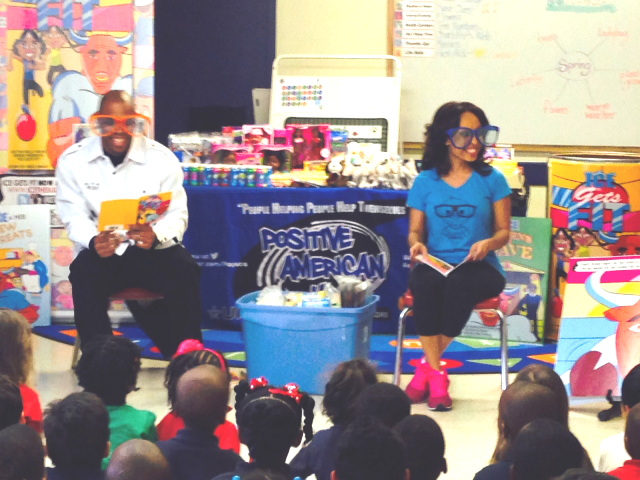 At each tour stop Reec and Ice The Bully (PAY’s Anti Bullying Mascot) interact with students, read a book from the “Ice The Bully Books Series” and conclude with distributing give away items. Why Book This Tour?Not only will kids be encouraged to practice literacy and individuality, but also for every school booked, a student will receive a free computer from Reec of Hot 107.9 & Positive American. In addition, each participant will receive a give-a-way item, i.e; book, poster, t-shirt, etc. Positive American Youth’s main goals for this book tour are to encourage literacy and individuality in alignment with the anti-bullying advocacy. Positive American Youth (P.A.Y.) 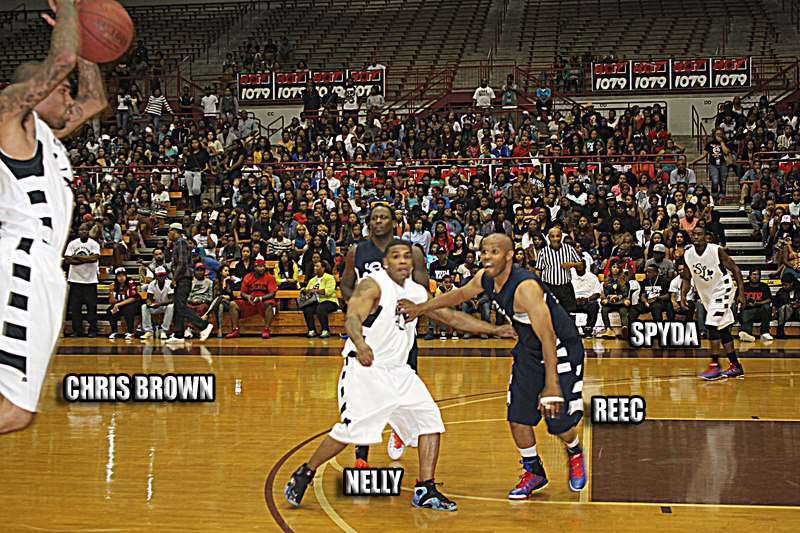 hosts an annual celebrity basketball game on the third Saturday in September. 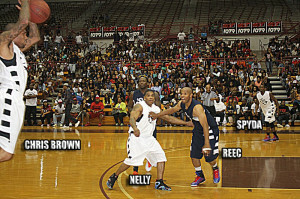 The Celebrity Benefit Game’’s inaugural year was in 2008. The event is hosted by Atlanta Metropolitan College. The event included over 3,200 guests. The Celebrity Basketball event kicked off with a three-hour, free basketball clinic that was open to the community’’s youth. During the event, the Fire Department and Police Department of Atlanta conducted a safety seminar along with the Grady Hospital Paramedic Team. After the camp, a Drum Line Band Battle featured top high school bands that showcased their skills. Positive American Youth (P.A.Y.) 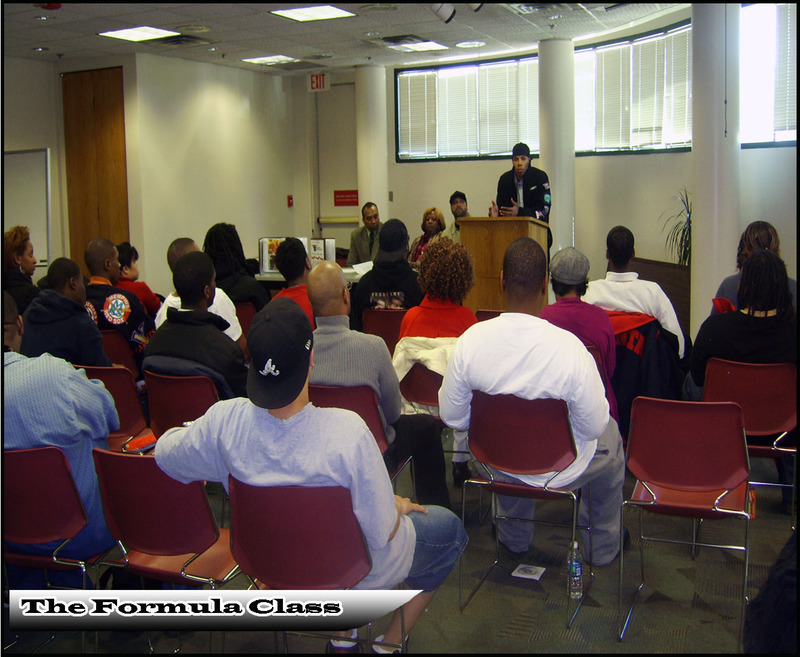 has partnered with The Atlanta – Fulton Library System, Bulls Eye Entertainment, Tap Out Studios, Radio One and SESAC publishing company to provide The Formula. The Formula is a free seminar covering the entertainment industry. The classes introduce business concepts of the entertainment industry. Classes cover: Developing promotional teams, interviewing techniques, professional office attire, artist development, graphic design, recording, entertainment law, publishing and much more. Meals and snacks are provided. Sessions are held in schools, Studios, Youth Detention Centers, Public Libraries and at PAYUSA headquarters. Take a Look at Our Community Giving Program in Action! Our feeding program provides assistance to low-income residents in the following counties: Cobb, Fulton, Dekalb, Clayton, Henry, Paulding, Douglas, and Gwinett. Approved clients receive assistance with food twelve (12) times per calendar year (twelve month period), with a minimum of thirty (30) days between visits. Clients may receive bread, sweets and perishables every ten (10) days. P.A.Y. has partnered with the Atlanta Community Food Bank and the United States Postal Service to continue in our efforts to fight hunger. Get ready to give away groceries to listeners in need. REEC of Positive American Youth and Carol Blackmon of Majic 107.5 FM, give listeners in need,an opportunity to recieve free grocery filled boxes each and every Thursday all year long! 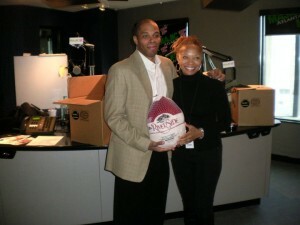 Thanksgiving Thursdays runs weekly during the Carol Blackman Show 10am – 3pm weekdays on Majic 1075. / 97.5FM. 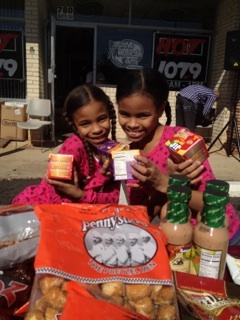 Keep listening if you are in need to recieve a free box as well as join us for a free 107 Box Grocery Give away. 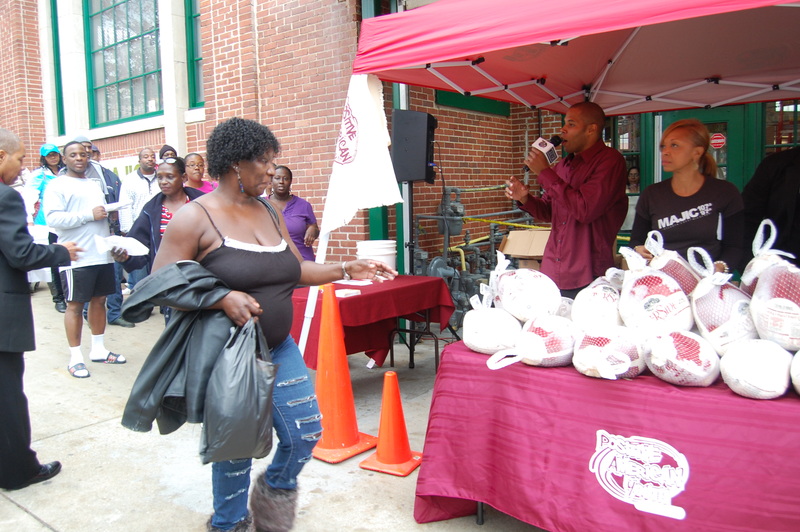 In addition to Thanksgiving Thursday, listeners will be provided with a location where PAY is distributing 107 free turkeys, holiday hens, hams or whole chickens, to families in need, each week during the holiday months November and December. These “107 Big Birds” will take place on Saturday of each month at various locations. Each Sunday PAY will provide a minimum of 107 cooked meals to various senior centers. Positive American Youth (P.A.Y.) hosts over forty (40) tour stops per year at various Boy’s & Girl’s Clubs, schools, colleges, and recreational centers. Each stop hosts a pep rally and game featuring the Hot 107.9FM Hot Shots basketball team taking the court to play a game against local teams, police teams, school faculty, or parents as a morale booster for the community. PAY’s Anti-Bully Mascot “Ice Da’ Bully makes an appearance to promote our No Bully message. Live Entertainment such as Flip City South provide the halftime show. Games are hosted by an MC while a DJ plays clean music.